Singapore will honour its first prime minister, Lee Kuan Yew, by putting him on a special S$50 (HK$300) note, but other ideas such as renaming the airport or preserving his home will have to wait, said his son and current premier Lee Hsien Loong. 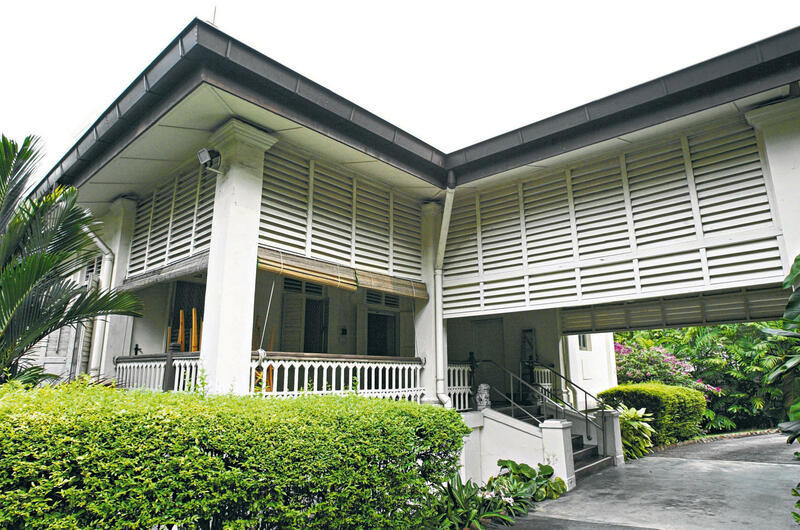 The Oxley Road house, on the fringe of the most expensive shopping belt in Singapore, has been the subject of much fascination since Lee Kuan Yew’s death on March 23, as interest in learning about his life was reignited among Singaporeans. Pictures of the humble building with quaint, mismatched 1950s-style furniture had given an insight into the modest life he led. They also sparked calls from the public to turn it into a museum or a memorial site. The house, which Lee moved into in 1945, was where he and other founders of the People’s Action Party planned their first steps. And Lee never moved out. While neighbouring houses made way for swanky multi-storey condominium projects, No 38 remained trapped in time. On Sunday, two of Lee Hsien Loong’s younger siblings, Wei Ling and Hsien Yang, took Singaporeans by surprise with a statement saying firmly they wanted the house to be demolished in line with their parents’ wishes. The two, who are executors and trustees of Lee’s last will and testament in December 2013, urged the public to respect their father’s request. The late Lee stated in the document that he and his wife, Kwa Geok Choo, wanted the house to be immediately demolished after his death or after his daughter moved out. “I would ask each of my children to ensure our wishes with respect to the demolition of the house be carried out,” the elder Lee stated. Although the statement gave no reasons, his decision is in keeping with his legendary pragmatic bent. He had been opposed to any cult of personality around him while he was alive, only lending his name to educational causes. Lee also added in his will that if his children were unable to demolish his home, because of changes to the law or rules or regulations, “it was his wish that the house never be opened to anyone other than his children, their families and descendants”. On Monday, however, the eldest son, Hsien Loong, said there was no need to make a decision on the house now as Wei Ling would continue to live there. On calls to turn the home into a museum or a memorial, he said his father was adamantly against the idea.